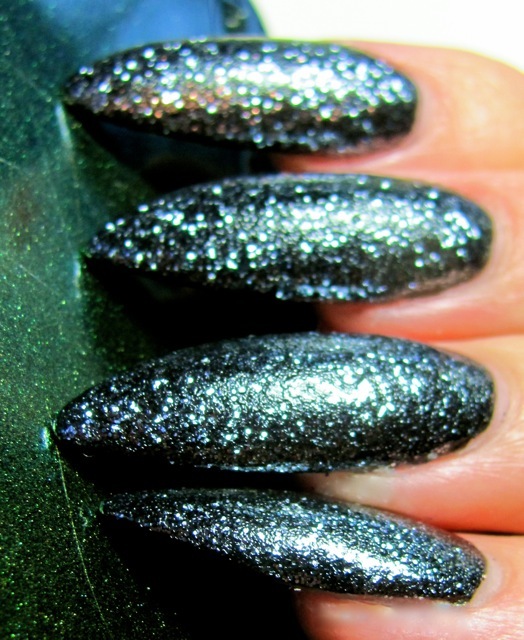 You've already seen my first edition of claw nails this season. I loved them for their creativeness and practicality, but I knew I wanted to do something a bit outrageous for my second rendition. When I thought "claw," nothing said it like nail extensions. I spent the last week researching how to apply acrylic nails at home and decided to give it a go. 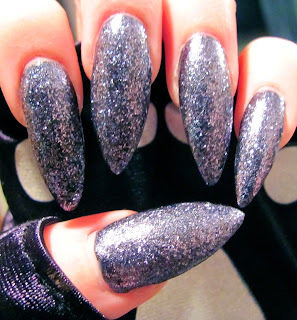 A trend in the nail world is stiletto nails, that is what these are! Working with acrylic was tricky, and the whole process got harder the more nails I had finished on my fingers. I persevered. I'll say, for my first attempt, I did a pretty good job! (Though, I probably will never do it again. My house stunk something fierce!). 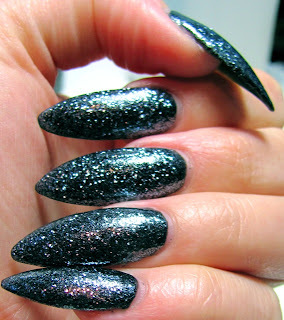 Unlike my original claw nails, these nails are completely impractical! In fact, I had to use Dragon Dictation in order to help me write this blog post. Either way, as I loved my first claws, I love these as well. They went great with my costume. Good thing they will be coming off after they rock today for Halloween. Have a great day! 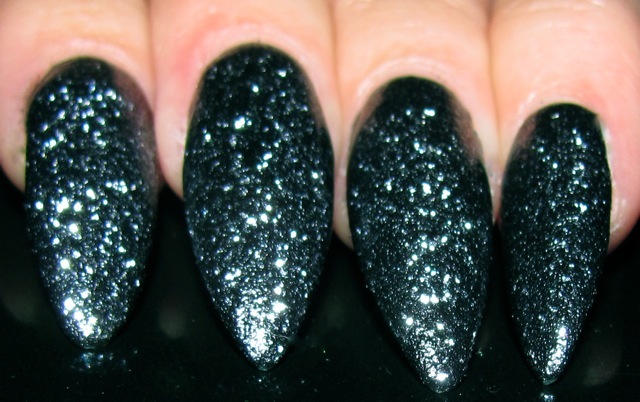 I used to No Lift Nails Pro Kit for the acrylic system with Terrific Tips Classic Oval Nail Tips for nail extension tips. I filed the tips into points before applying them. Once the manicure was cured and filed to exactness, they were ready to be painted. I used three coats of China Glaze Liquid Leather and on top use LA Splash Cosmetic Glitter Splash in Rockstar from their Halloween 2011 collection. Seche Vite sealed the entire look. These are so ridiculously awesome.